I love when I find a project that is fast and easy and doesn’t turn into a Pinterest-fail! If you can sew even a simple straight line, you can definitely make this DIY cornered tablecloth tutorial in under an hour! I used a sewing machine – you could hand-stitch, if you needed to, and I’m guessing that might take about two-hours). This project came about because the lovely wooden table my son received as a gift was getting a workout from their constant crafts and building projects. I needed a way to protect the table top from crayons, glue, and liquids. Putting a loose tablecloth over the top wouldn’t work as my children kept shuffling it off the table when they colored or created. So I needed something “fitted” to stay on the table whilethey worked. I did a trial run with an old vinyl tablecloth that I cut down. It’s a great way to upcycle an old picnic tablecloth. After seeing how easy it was to sew this cornered tablecloth, I decided to splurge on some pirate printed PUL material (the same used for cloth diapers!) and make something more fun for the boys. Plus the print hides the random crayon markings! Material – a waterproof material works best for small children. For length of fabric, it will depend on your table. I recommend measuring the table and adding 20 inches to the length and width of the table (so you get 10 inches margin on all 4 sides). 1. Lay your fabric right side DOWN (that is, inside out!) onto the table you wish to cover. 2. Trim the fabric so there’s about ten inches overhanging all four edges evenly. 3. Without moving the tablecloth (you may wish to set a heavy book on top to keep it still), pin the fabric at each corner to make “wings” sticking out from each corner. Pin both at the very corner edge and all the way down the table leg, making sure you don’t slope inward if your table legs are recessed. 4. Sew a straight stitch down each corner “wing.” Trim the “wing” off to leave about a 1/2 inch edge. You could turn this down for a flatter seam, or if you have a serger that won’t be an issue. I just left mine! 5. 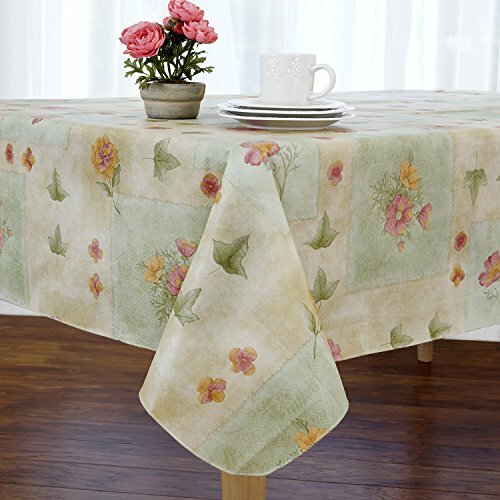 Once you have sewn each corner, flip the tablecloth to the right side, and place over your table, making sure it fits snugly and without puckers. If you have pinned correctly, you should not have to redo this part – both my tablecloths fit correctly the first time – I only tell you that to say that it should be that easy! 6. Fit whatever chairs will be at the table under the table. You’ll want to hem the tablecloth edge up to have a few inches above the chairs so that little legs won’t get caught on the tablecloth. Measure how many inches down from the table top this will be. For our children’s table, it was about 7 inches. 7. Flip the tablecloth back inside out and put on the table. Starting at the corners, measure down to where you want your hem to be (mine was 7 inches) and pin fabric edge up and pin at each corner. Then, holding two corners, flip the fabric up so you get a straight line across from corner to corner, and pin that down. This is the easiest way I’v found to get a straight edge from one corner to the next. Repeat around all four sides of the table. I only folded my fabric up once, leaving a raw edge, but you could certainly fold twice for a finished edge. 8. Sew the hem and trim any excess fabric down to 1/4″ from the seam. You may choose to use a straight stitch or a more decorate and secure zig zag stitch. Put your tablecloth on the table and enjoy! Your kids are going to love it! Add this DIY Cornered Tablecloth Project to your Sewing board on Pinterest! Where to get your fabric!? Here’s a tip – use an “all-over” print, so that if your material pulls a bit and isn’t quite even, you won’t see the discrepancy. Stripes and lined prints will show any error immediately and it’ll forever bug ya! 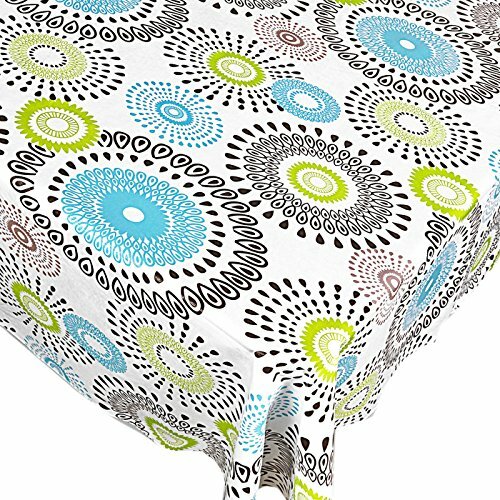 I found some great PUL fabric by the yard on Amazon.com and also some pretty square vinyl tablecloths. 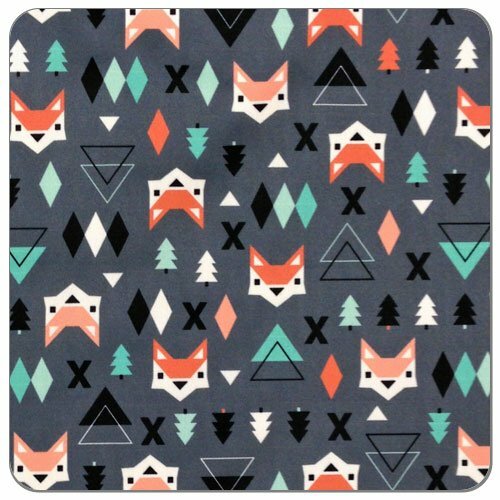 Here’s just a sampling of the fun prints I found! Please let me know if you try this tutorial out – I’d love to see a photo! If you’re looking for more great ideas to “sew or not to sew” check out my sewing project Pinterest board! Affiliate links have been used in this post. We are a participant in the Amazon Services LLC Associates Program, an affiliate advertising program designed to provide a means for us to earn fees by linking to Amazon.com and affiliated sites. Exploring Patriotic Symbols of America – FREE Ebook! Sisters (and coffee!) are forever! NEW Dunkin’ Donuts Bakery Series Coffee! Thank you for this tutorial! I was very much struggling with a similar project, but i am trying to do the drape to the floor and couldn’t get it – until i came across this tutorial. It was photos that were exactly what i needed and had it done in no time! thank you!! This is exactly what I was looking for! Thank you for a clear and simple tutorial. Going to go try. Thank you thank you thank you! I have been struggling to figure this out myself and this is exactly what I needed! Great Idea. I am going to make one for my picnic table and I might even cover my benches too . Thanks for sharing this. my tablecloth will never blow up again outside on my picnic table. YAY!! I’m really thankful for this tutorial! I just started my own business and I do craft shows. In florida it can get REALLY windy…and I can’t afford the fitted tablecloths. This is tutorial is heaven-sent. I just bought some sheets from goodwill, and I’m getting ready to start on them. I’ll send pictures if it’s a Success!!! Cross your fingers for JackieBeans Boutique! This is a great idea! 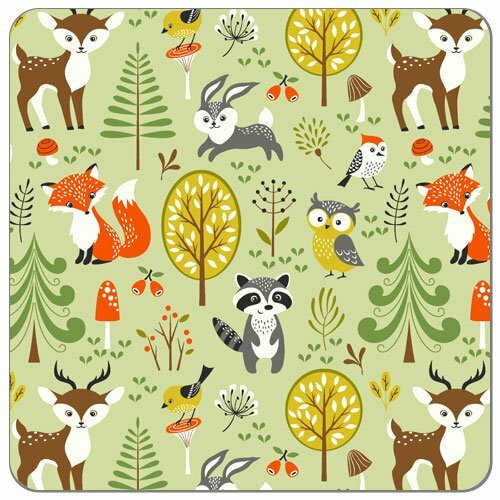 I’m hoping to make a new tablecloth for my table, and I’d like to incorporate this idea! Thank you for sharing! I want to make one of these to turn a desk into a nursery changing station and wanted to use elastic to keep it in place but I like your idea more!!! Practical! I’m excited to try this on the Ikea LACK table our son uses for painting and drawing. I’ll refer to your post on my blog if I end up doing it! Great idea. Thank you! Can i make one for round tables too ? In this method? This would likely not work on a round table as there’s no “corners.” You would probably have to cut and piece two sections together to achieve this effect, and off the top of my head I can’t think how that would go. I need something like this on my coffee table to protect it from my grandbaby banging toys on it. She’s already dinged up some areas. Thanks for sharing! in a very long time. Genius! I want to make a cover for a table with rounded corners too. I hope someone can give some help and advice. Great idea – can anyone out there tell me how to improvise this if I have rounded corners on my rectangular dining table. How to make them come out as crisp as the sharper squared off corners. Thanks. The simplest thing would be to cut the shape of your table top with an added seam allowance (suggestion: 1/2 inch all around) and then make a band of the desired width/depth and the same circumference as the table top plus 1 inch. Bring the short ends together and sew using 1/2 inch seam allowance. Hem one long edge as desired, then attach the band to the “shaped” piece cut for the top. That’s a fantastic tip!! Thank you! I definitely need to try this out myself – now off to find something round to cover!! What a great idea on keeping the tablecloth on. I wish I would have done this to my tables before my kids make their marks on them. Ahhh, what a good idea! I dont know how many times our table cloth slipped off. That is a really neat idea! 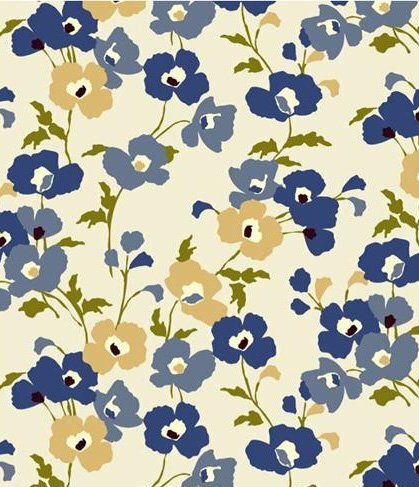 I just bought a rectangular table so I will be making a table cloth like this! I really wish I were more talented when it came to sewing. I am not kidding when I tell you that sewing a button back on is about as good as it gets with me. What an adorable project. You had me at one hour. This is a super cute project! My daughter has a little table, and she’d just love this. What a great DIY! It looks really great, it’s easy to make, and I can think of some great places to use it. I love this table cloth. I can think of some really nice fabrics I can make this with. What a great project. It looks really easy to make, and it’s very cute. How cute is that! i wish my sewing skills were this good. I am pinning this so that I am try this out. That is adorable and so easy. I could make that in no time. This is awesome. Thank you for the tutorial! You make it sound so easy. I love the project but am not sure I can sew a straight line! This is an awesome tutorial! 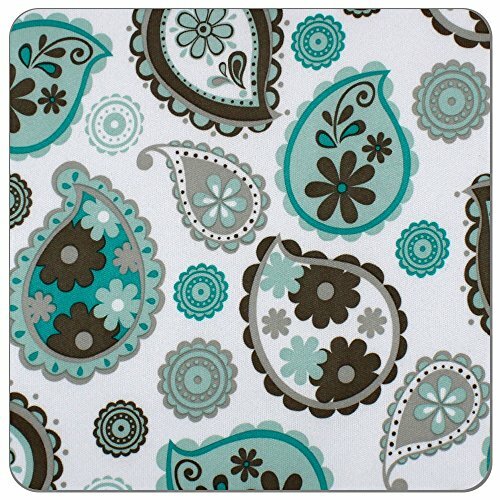 I have an OLD table and I want to cover it nicely without my kids or hubby pulling the tablecloth off! I will be tackling this project in the Fall! Oh that turned out absolutely fabulous! I love the fitted look. It is so much better than the extra loose table clothes I just throw in our table. Wow, this looks so much more ‘finished’ I love the look! I don’t sew often or handle fabrics, but I think I could tackle this project for the playroom! Genius!! That always bugged me about our tablecloth too – I’m so going to do this!!! What an awesome idea if you have little kids in the house. I wish I had thought of that back when my kids were toddlers. I LOVE this Julie. I wish we were neighbors so I could pay you to make one for me. =) The pirate fabric is such a fun print for the boys too.